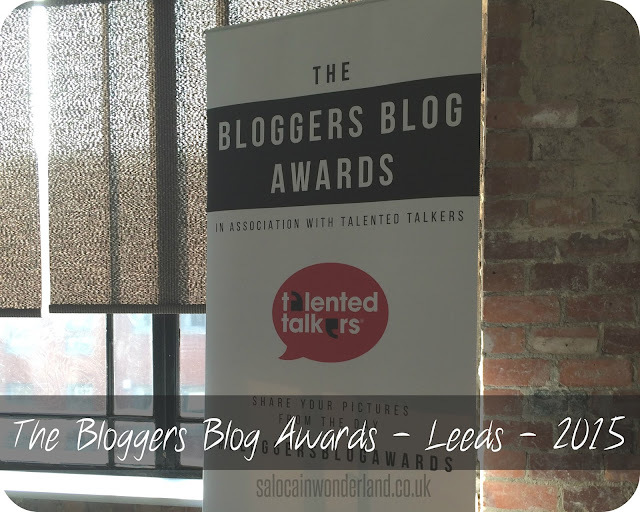 This past weekend I was unbelievably lucky enough to be able to attend the Bloggers Blog Awards, organised by the yes-she-is-as-amazing-in-real-life-as-she-is-on-her-blog Hayley of Tea Party Beauty. 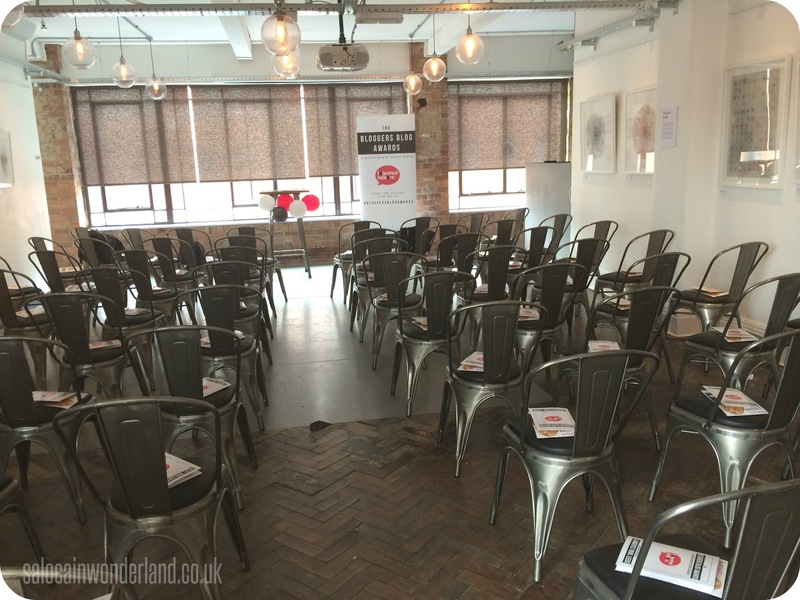 Bloggers from near and far descended upon Leeds for the event and what an event it was! The fabulously talented and all around amazing lady that is Jemma of Dorkface and I took the coach over to Leeds - 2+ hours of none stop talking, laughing, gin drinking (shhh! ), Periscoping (did you see us?) and selfie-taking and we arrived in Leeds, to be given the biggest hug from Dee of Prompts by Dee who had been waiting in the station for us! Our excitement could not be contained and it only grew the more bloggers we found on our adventure through Leeds city centre! 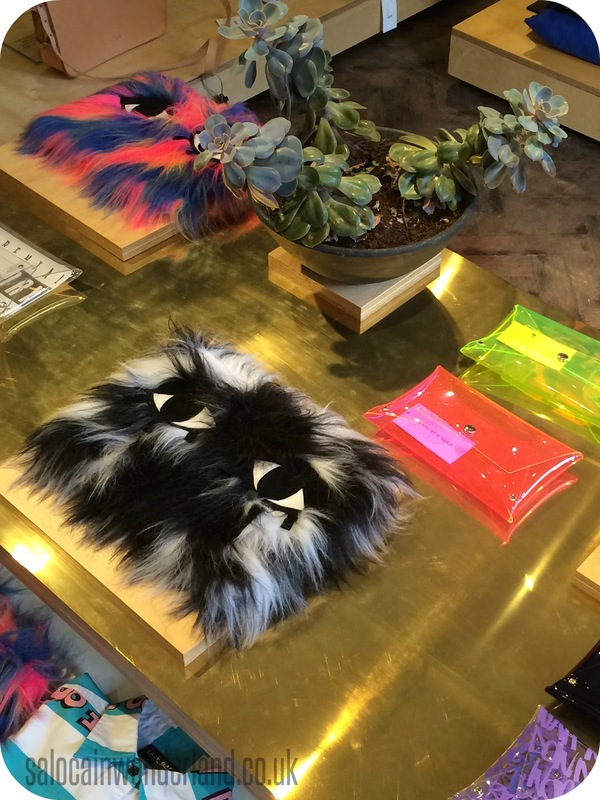 The petite pink bombshell that is Claire of Fine and Dandy quite literally threw herself at us on the high street - she is such a ball of energy! And if there was an award for the best laugh and biggest smile it would, hands down, go to her! 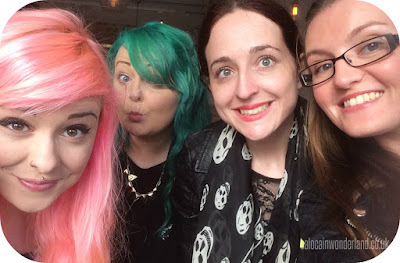 We also managed to find the gorgeous lady that is Lauren of Britton Loves - she is such a lovely lady and with her in tow the somewhat lost bloggers had assembled! We found the venue, Lamberts Yard, dropped off our bags and said a few quick hellos then ran back out into Leeds in search of food! Hungry bloggers ain’t happy bloggers! We had an hour or so before the event officially started and when Claire started to scream and shout and jump up and down like a kid who just got a Nintendo 64 for Christmas - we followed her and found ourselves in Five Guys - seriously, could this day get any better?! I am a total convert, the peanut oil cooked fries? Hell yes! Bellies full, butterflies dancing and phones fully charged we headed back to Lamberts Yard and got ready to get this blogger party started! 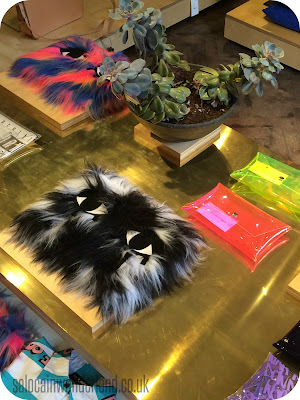 Lamberts Yard greeted us with prosecco and goodie bags as we had a look around the shop - they have some amazing pieces, I was totally taken by the furry clutch bags that looked like multi-coloured Monster Book of Monsters! Prosecco downed, we headed upstairs to the event space which was very Pinterest/Insta worthy with its exposed brick walls, art prints and amazing light - of course none of which I managed to snap shots of *bad blogger*. One minute there was just a few of us hanging around, having a chat, the next minute it was like the stampede scene from The Lion King - the floor rumbled, the stairs screeched and the next thing you know the room was full from wall to wall with bloggers. I’ve been to a couple of events but I have never seen so many bloggers in one place before - and not just any old bloggers, but some of my favourite big-time bloggers - talk about nerve wracking! Now, here’s where I owe an apology - I think I was somewhat overwhelmed by the number of people in the room, the familiar but not so familiar faces, the noise and how hard it was to hear anyone speaking and the overall intimidation of actually speaking to some people whose blogs I have loved for so long! So if I didn’t speak to you, babbled incoherently, or turned tail and ran - I am so sorry! I swear I’m not usually like that, but I usually attend much smaller events! But the people I did get to speak to where amazing! From Megan of Thumbelina Lillie to Jordan of Hello Miss Jordan, Becky of Becky Bedbug, Jenna of Hepcat Blogs, Carrieanne of Beauties Unlocked, Amy of Amynmore, Kayleigh of Very Berry Cosmo and I know there are probably countless others but do you have any idea how hard it is to try and match real human faces to their twitter avatars/handles? It’s bloody difficult! The awards themselves were amazing! I was so so happy for all the winners on the day, but a HUGE shoutout has to go to my girl Jemma who not only cleaned up by winning both her categories, but also for taking home about half of the raffle prizes - I swear she should have bought a lottery ticket on the way home, her numbers had been coming up all day! She also kindly gifted me one of her raffle prizes as my numbers were complete pants and I didn’t win a thing on my own! About 30+ of us continued on to The Black Swan for an after party/stuff our faces session where I had a really scrumptious chorizo pizza! 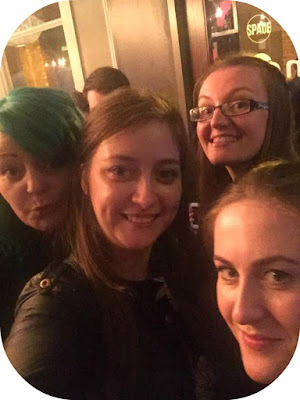 After much playing with selfie sticks, twitter stalking across the room and more squealing and talking a final few of us went on the driest bar crawl I’ve ever been on - it was a Saturday night and everywhere was rammed! By the time we’d found somewhere with a bit of room, it was time for Jemma and I to head off back home to Liverpool! Now I have to give a huge shout out to Hayley and Corrine of SkinnedCarTree - I freaking love their blogs and have done for a long time and have stalked them for as long as I can remember online (they know this, they’re ok with this. We all stalk each other.) Of everyone who was there on the day, these were the two ladies I went all the way to Leeds to meet and they are seriously amazing ladies! You know when you try to imagine what someone online might be like in real life - and then you meet them and they are exactly how you imagined? That’s these two! They’re real, they’re awesome, I got to squish their faces and I cannot wait until we’re reunited (I’m working on this ladies!) again! So many feels! Bloody hell, if you’ve stuck with the post this long then well done you, have a cookie! I can’t thank everyone enough for being so awesome on the day, for everyone I met and got to speak to, to the event sponsors, including the lovely folks from Talented Talkers who sponsored the entire day. Erica and Shaun were absolutely lovely (and I really wanted to pin Erica down and run away with her entire outfit because she looked like a princess!). They also took on the task of selling all the raffle tickets and managed to raise over £300 for Alzheimer's Research! JewelleryBox gifted me the cutest little earring and bracelet set, I'm now lusting after about 90% of their website! Jemma was the best coach buddy I could ask for, and of course, Hayley, without all her handwork none of this would have happened! Girl, you did a thing - and it was amazing! Asdhdask - YOU ABSOLUTE BABE <3 I was so worried people would think I was a prat in real like haha. Thank you so much for coming, and posting on the day too lovely, was so good to meet you - you are so funny and adorable. My raffle numbers were pants too, I should have just stole everything haha, so cute of Jemma to share a prize with you. It was lovely to see so many people swapping, sharing and re-raffling prizes. I hope you DO tweet me creepy pictures - I will be tweeting you them right back haha! You and Corinne are all kinds of amazing, I'm so SO happy I finally got to meet you both - we need some seriously extended fun times where we can have a proper chat, laugh and drinking session! I was talking to Jemma and we're thinking MAYBE we could meet you two half way in Manchester and hit the Christmas markets if we're all free? Think of all the layers, mulled wine and giggles - surrounded by CHRISTMAS!! Epic! Thank you so so much for an amazing day, I felt so honoured to be a part of it! Can't wait to see your face again! Aw Amy it was SO nice to meet you too! I had such a brilliant afternoon - I was very jelous of your Jewellery Box necklace AND that shirt you wore! So pretty! I can't believe that was the first event you had been to - talk about the deep end but it was so so worth it! Hope to see you at the next one! I AM SO SO SO SO SO GLAD YOU CAME. You were the person I was looking forward to meeting the most and it was so good that we actually got chance to speak for a decent amount of time because there were SO many people there! Woo. We need to meet up again soon. Manchester yes let's plan it. Do they have a Christmas market? That might be a good excuse for a Saturday day out. I WILL LOOK AND TWEET YOU. I am SO SO SO SO glad I came too! It was seriously one of the best days ever! I've been wanting to meet you for SO long but was convinced it would just never happen! I can't WAIT for out Christmas adventure!! It's going to be awesome! Super lovely to meet you too hun! Thanks again for all your support and help on the day! I did! 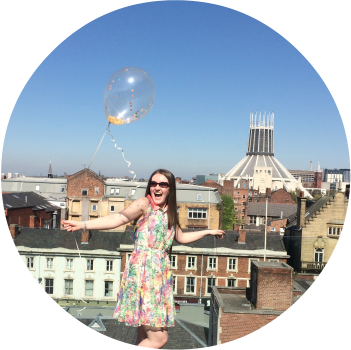 it was one of the best blogging days ever!